Esoteric Christianity, also known as Hermetic Christianity, Mystic Christianity, and even Christian Magic is a spiritual belief that regard Christianity as a mystery religion and profess the existence and possession of certain esoteric doctrines or practices of which the many are unaware, and even to which many may be denied access, but which is only understood by a small group of adepts. 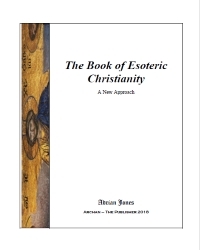 This work introduces the basic concepts of Esoteric Christianity. It does not delve onto the philiosophical concepts but give instruction to those that wish to practive this art from day one. Each chapter in the eBook builds upon the next so the student gains a clear undertanding of the techniqies and practices of the Christian Mystical Art. This work is ideal for the neophite taking his or her first steps along this path, and forms a solid foundation for furthet study. Chapter 2 Is Christianity and Esoteric Christianity Compatible?